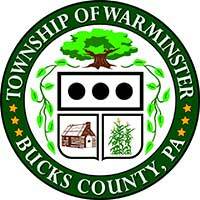 Warminster Township is a vibrant community with over 32,000 residents and more than 900 businesses. Residents and visitors enjoy a variety of leisure opportunities including 409 acres of passive and active parks, Benjamin Wilson Senior Center, and Five Ponds Golf Club, to name a few. Although Warminster's historical roots run deep, the Township is an emerging leader in environmental, technological, and economic practices.